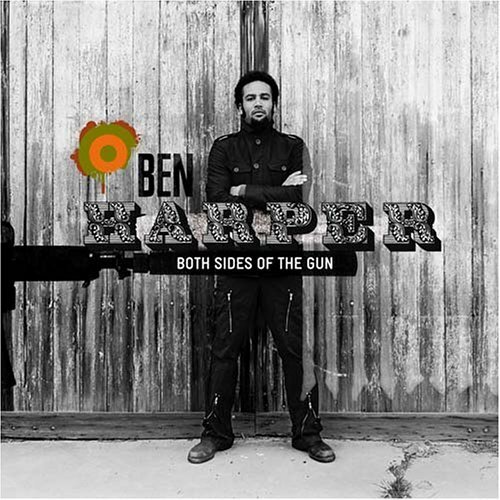 Both Sides of the Gun, is a Ben Harper and the Innocent Criminals album released in 2006. Split into two discs, the title suggests at the two sides of Harper's musical nature. The first disc is made of mostly acoustic and string-driven songs hinted at on the last track ("She's Only Happy In The Sun") of Harper's previous album Diamonds on the Inside. The second disc is made of the more rootsy and upbeat material and touching on genres such as rock, funk and gospel. The album saw Harper playing the majority of the instruments on both discs; an approach that he had rarely used on his previous albums. However, the Innocent Criminals would appear on a few tracks whilst his later band, Relentless7, would appear together for the first time on "Serve Your Soul", the last track on the second disc. The album became Harper's first US top 10 hit on the Billboard Hot 200 album charts, entering and peaking at #7 on it's release. To date it is his highest album entry in that chart.